The comma is one punctuation mark which even editors don’t agree on, and it’s one of the areas I most often discuss in my editorial letters. Today I’m going to introduce two basic rules of commas. I will also look at how we use a comma in a compound sentence. There are two main things to remember with commas. 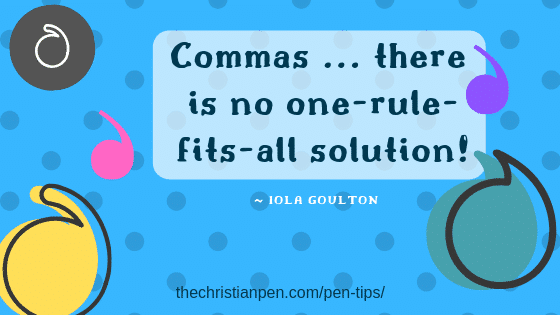 There are grammatical rules about when a comma can be used. If your English teacher (like mine) told you to add a comma when you’d pause for breath when reading aloud, then your English teacher was wrong. That advice, leads us, to the Walken, comma. Or, worse, the, Shatner, comma. (I may have mixed those two up. But you get the point). I’m supposed to be on a diet, I ate a bar of chocolate. I’m supposed to be on a diet. I ate a bar of chocolate. The other option, and the best option in this case, is to use a comma and a coordinating conjunction to turn the sentence into a compound sentence. I’m supposed to be on a diet, but I ate a bar of chocolate. We could use a colon. A colon is best when the second thought amplifies the first. I’m supposed to be on a diet: I ate a bar of chocolate. Another option is the semi-colon, which is considered stronger than a comma but weaker than a full stop. I’m supposed to be on a diet; I ate a bar of chocolate. Colons and semi-colons are rarely used in modern fiction, although they are common in nonfiction (and are especially useful in lists). I’m supposed to be on a diet—I ate a bar of chocolate. It is up to the author to decide which is the most appropriate in the context (unfortunately, there is no one-rule-fits-all solution!). In my next post, I’ll discuss the Oxford comma and other problem commas. 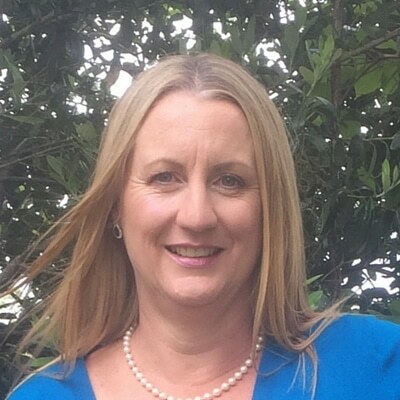 Iola Goulton is a New Zealand book reviewer, freelance editor, and author, writing contemporary Christian romance with a Kiwi twist. Iola holds a degree in marketing, has a background in human resource consulting, works as a freelance editor, and has developed the Kick-Start Your Author Platform Marketing Challenge, an email course for authors wanting to establish their online platform. When she’s not working, Iola is usually reading or writing her next book review. Iola lives in the beautiful Bay of Plenty in New Zealand (not far from Hobbiton) with her husband, son, and cat.